Playing out of tune is one of the worst things that can happen to a guitarist. No matter how skilled you are, how fast you can play, or how precise, if you’re out of tune it’s going to sound bad anyway. There are many ways of tuning your guitar, but two of them seem to be the most popular: using a guitar tuner, and learning how to tune a guitar by ear. Of course, the former is a more precise and, ultimately, better approach. However, inevitably there will be times when you won’t have your tuner with you, and you will have to tune your guitar by ear, so how to do it? Let’s start with the hard part. The most difficult step while learning how to tune a guitar by ear is, surprisingly, the first step – tuning the E6 (the thickest) string. There you can find model sounds for each string of your guitar. Use the E6 string’s sound as a reference model. If there’s no computer around ask your fellow musicians for help. The best reference sounds can be produced by keyboards. 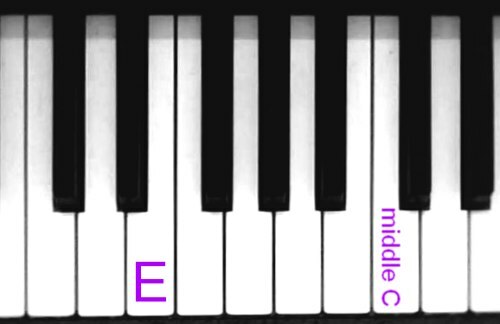 You can find the model sound for the E6 string on the E key below the middle C (image below). If there’s no keyboard either ask another guitarist for a bottom E or ask your bassist for the E on the 12th fret of the E4 string, or the E on the 2nd fret of the D2 string (same notes). Once you have your model bottom E note you can begin tuning your guitar. You’re doing it “by ear” and it means exactly that. So first you have to listen to the model E sound and adjust the tuning peg of your E6 string until you can’t hear any difference between the model sound and your empty E6 string sound. This is the most challenging aspect of the whole task – you have to be able to hear the difference between notes … as everything, it comes with experience, so you might find it difficult to tune your guitar properly first time around. The A note displayed on the image – 5th fret on the E6 string, and the empty note of the A5 string are the exact same notes (or at least should be when your guitar is in tune). So what you have to do now is use the A on the 5th fret of the E6 string as a reference while tuning the A5 string (similar to what you did with the E string just a minute ago). You play this A note and adjust the tuning peg of the A5 string until the notes sound the same. If you take another look at the image you’ll see a similar story here. There’s a D sound on the 5th fret of the A5 string. Use it for reference and tune your D4 string to it. Same thing here. The G note on the 5th fret of the D4 string is the same as the empty note of the G3 string. This one’s a little different. If you take a look at the picture again you’ll see that the B sound on the G3 string isn’t located on the 5th fret but this time it’s on the 4th fret. Other than that the whole method is the same. Your reference is the B note on the 4th fret of the G3 string. This time we’re back to the original pattern – use the E sound from the 5th fret of the B2 string as the reference for tuning the E1 string. Once you’re done with this final step your guitar should be in tune. If it isn’t you’re going to have to start again. You can check if you’re in tune by playing some standard guitar chords and listening whether or not they sound right. Use the most basic chords like: C, E, G major. 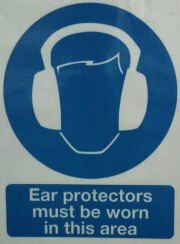 Finally, do you have any advice of your own on learning how to tune a guitar by ear? Feel free to comment and share your opinion.